Eczema, sometimes known as atopic dermatitis, is a type of skin condition characterized by dry, red and itchy patches. It usually develops in childhood and tends to improve with age. In most cases, eczema is an allergic reaction associated with asthma and hay fever. 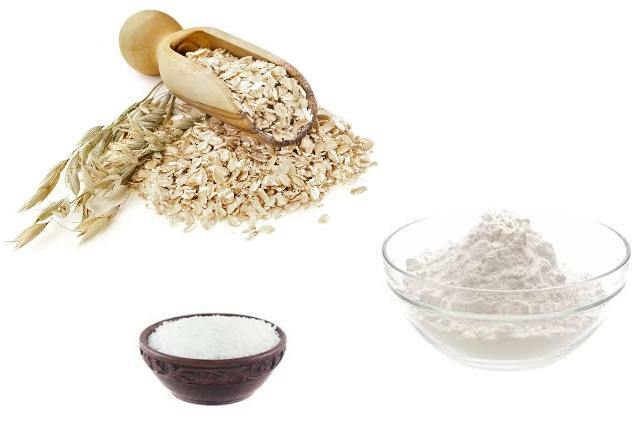 Oatmeal bath is an effective remedy for eczema. It acts as emollient and helps trap moisture into the skin. This helps form a protective barrier that reduces exposure to the skin irritants. It is also known to maintain the normal pH of the skin. 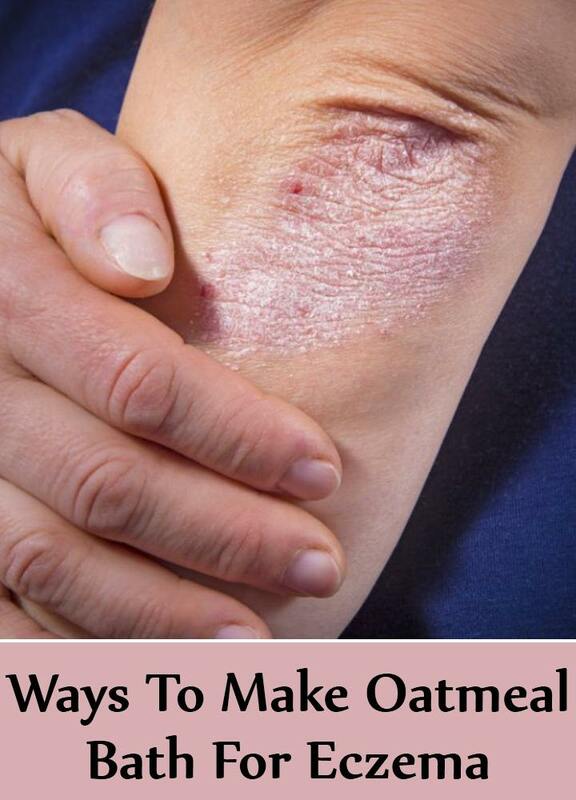 Furthermore, the anti-inflammatory property of oatmeal helps inhibit activities of pro-inflammatory compounds that trigger the eczema symptoms. Usually colloidal oat is used for making oatmeal bath. However, you can enjoy similar benefits with your regular oatmeal. Grind your regular oatmeal in a grinder until it is finely powdered. Add 1/3 cup of the oat powder to warm bath. Stir the water until the oat powder is evenly distributed. Soak in the bath for 15 to 20 minutes. Cinnamon is known to diminish risk of skin infections. It also helps in reducing the redness of the skin affected by eczema. 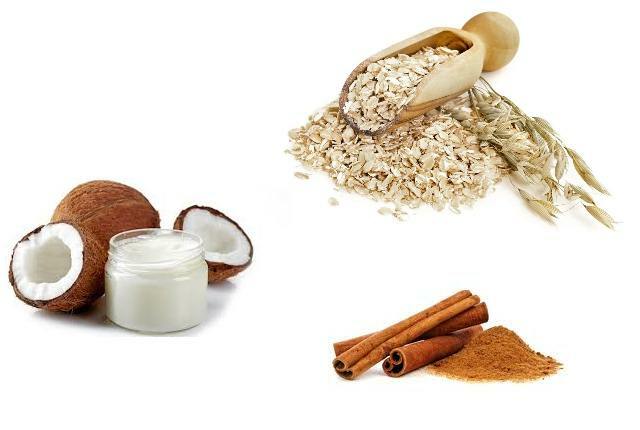 Extra virgin coconut oil when added to the oatmeal bath moisturizes the skin that helps accelerate the healing process. Grind ¼ cup oat and mix it with lukewarm bathwater. Add 2 ½ tablespoons of cinnamon powder, a pinch of sea salt and three tablespoons of extra virgin coconut oil. Mix the ingredients well to evenly distribute them in the water. Soak in the warm bath for 15 to 20 minutes. Baking soda and Epsom salt help in soothing the red, itchy and irritated skin affected by eczema. Baking soda helps restore the normal pH of the skin. Epsom salt helps in detoxifying the skin that helps reduce irritation and supports healing. Put one cup of rolled oat, ½ cup baking soda, ½ cup Epsom salt, ½ teaspoon cinnamon powder and 5 gram each of dried lavender, calendula or chamomile in a muslin bag. Place it in the warm water. Allow the bag to soak for several minutes. Squeeze to extract the maximum amount of the mixture from the bag. Now soak in the warm bath for 15 to 20 minutes. 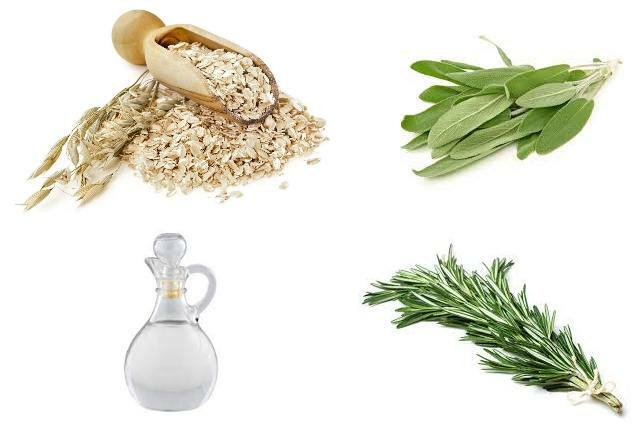 Adding herbs such as sage and rosemary to the oatmeal bath helps in boosting the effectiveness of the eczema remedy. The herbs help relieve the itch and speeds up healing. Apple cider vinegar is added to the bath to improve the skin health and reduce irritation. 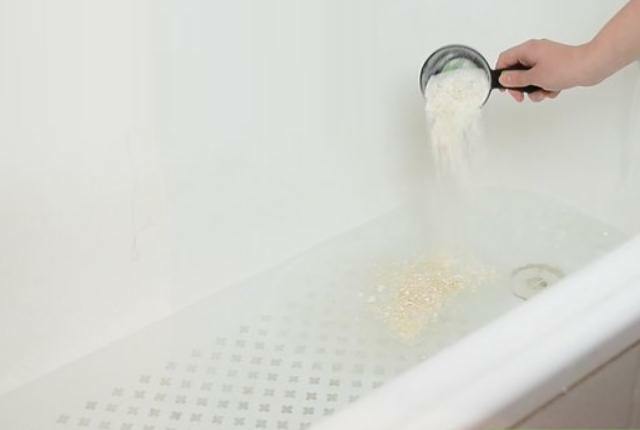 To the lukewarm bathwater, add four tablespoons of dry oatmeal, one tablespoon of dried rosemary, five dried sage leaves and a quarter of a cup of apple cider vinegar. Mix well to ensure that the ingredients are evenly distributed in the bathwater. Soak in the warm bath for 20 minutes. 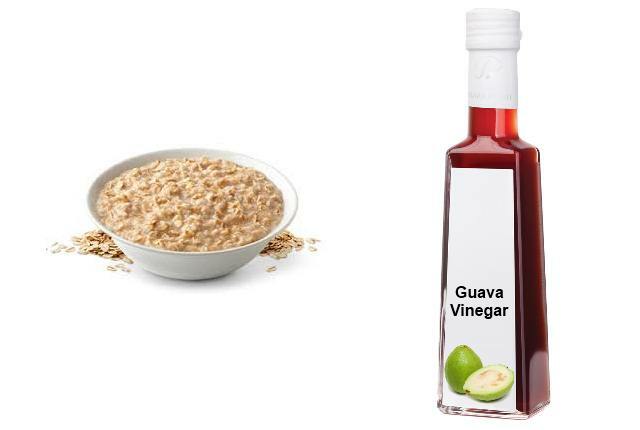 Oatmeal bath with guava vinegar is a helpful remedy for eczema. To tepid bathwater, add half a cup of finely powdered oatmeal, half a cup of guava vinegar and two drops each of lavender essential oil, juniper essential oil and geranium essential oil. Soak in the lukewarm bath for 15 to 20 minutes. The essential oils in the bath help soothe the skin and reduce irritation.